Dry, warm-spicy, and fresh, with hints of angelica and juniper-like notes. Provides a contemporary rosy note without being too powdery. 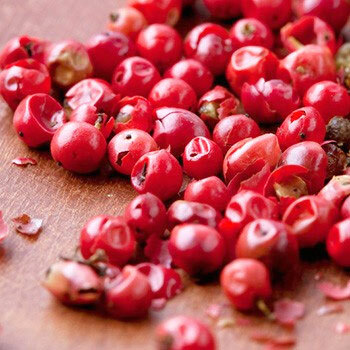 A pink peppercorn (French: baie rose, "pink berry") is a dried berry of the shrub Schinus molle, commonly known as the Peruvian peppertree.